Quintana Roo has seen its fair share of celebrities over the years, including actresses Drew Barrymore, Cameron Diaz and Reese Witherspoon, who had a girls vacation at the Amansala Resort in Tulum to take advantage of a boot camp fitness retreat. Krysten Ritter and Sofia Vergara have also been spotted exploring this beautiful destination. Earlier this month (July 2017), actress Lupita Nyong'o enjoyed an action-packed holiday, visiting the Mayan ruins of Cobá and the Sian Ka'an Biosphere Reserve, where she relaxed in crystalline waters. She stayed at the Hotel Esencia in Xpu-Ha, where supermodel Emily Ratajkowski was spotted in November 2016. Away from the hustle and bustle of Cancún, the coastal towns just south of Playa del Carmen offer beautiful spas, high-end restaurants, plenty of water sports opportunities and a number of Mayan ruin sites to keep everybody entertained. Puerto Aventuras is a mere 10 minute drive to Hotel Esencia and can host superyachts up to 45 metres. Alternatively, Marina V&V in Cancún can facilitate yachts up to 60 metres. Otherwise, superyachts can drop anchor and tender to the Mexico coastline. Quintana Roo has seen its fair share of celebrities over the years, including actresses Drew Barrymore, Cameron Diaz and Reese Witherspoon, who had a girls vacation at the Amansala Resort in Tulum to take advantage of a boot camp fitness retreat. 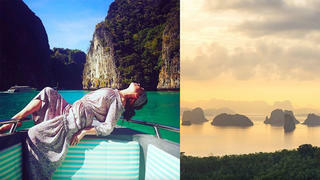 Krysten Ritter and Sofia Vergara have also been spotted exploring this beautiful destination. Earlier this month (July 2017), actress Lupita Nyong'o enjoyed an action-packed holiday, visiting the Mayan ruins of Cobá and the Sian Ka'an Biosphere Reserve, where she relaxed in crystalline waters. She stayed at the Hotel Esencia in Xpu-Ha, where supermodel Emily Ratajkowski was spotted in November 2016. Away from the hustle and bustle of Cancún, the coastal towns just south of Playa del Carmen offer beautiful spas, high-end restaurants, plenty of water sports opportunities and a number of Mayan ruin sites to keep everybody entertained. Puerto Aventuras is a mere 10 minute drive to Hotel Esencia and can host superyachts up to 45 metres. Alternatively, Marina V&V in Cancún can facilitate yachts up to 60 metres. Otherwise, superyachts can drop anchor and tender to the Mexico coastline. This summer alone the likes of Clara Halencreutz, Tiffany Trump, Ellie Goulding, Alexander Skarsgard and Katy Perry (pictured above on July10) have headed to the stunning island of Capri for their summer getaway, despite concerns of overcrowding due to mass tourism. Famed for its natural beauty and for being the playground of Hollywood legends for decades, the combination of modern luxuries and high-end boutiques with ancient ruins and a rich history makes Capri an extremely popular spot. In recent years, Beyonce, Mariah Carey, Rihanna and Sacha Baron Cohen have been spotted here. Additionally, stars from the history books such as Elizabeth Taylor, Jackie Kennedy, Rita Hayworth and Sophia Loren have been known for vacationing on the island. Guests to the island shouldn't miss a trip to the Blue Grotto, a stunning sea cave that you can explore in a small rowboat, and should book a table (well in advance) and the famous Ristorante Aurora for a sublime supper. Capri is known for its cobbled streets, sugar cube houses and rustic atmosphere. Though many head here for a day trip, it would be advisable to spend a few days on the island to experience its history, cuisine, beaches and shopping spots. This summer alone the likes of Clara Halencreutz, Tiffany Trump, Ellie Goulding, Alexander Skarsgard and Katy Perry (pictured above on July10) have headed to the stunning island of Capri for their summer getaway, despite concerns of overcrowding due to mass tourism. Famed for its natural beauty and for being the playground of Hollywood legends for decades, the combination of modern luxuries and high-end boutiques with ancient ruins and a rich history makes Capri an extremely popular spot. In recent years, Beyonce, Mariah Carey, Rihanna and Sacha Baron Cohen have been spotted here. Additionally, stars from the history books such as Elizabeth Taylor, Jackie Kennedy, Rita Hayworth and Sophia Loren have been known for vacationing on the island. Guests to the island shouldn't miss a trip to the Blue Grotto, a stunning sea cave that you can explore in a small rowboat, and should book a table (well in advance) and the famous Ristorante Aurora for a sublime supper. Capri is known for its cobbled streets, sugar cube houses and rustic atmosphere. Though many head here for a day trip, it would be advisable to spend a few days on the island to experience its history, cuisine, beaches and shopping spots. In April 2017 Drake enjoyed some down time in the Dominican Republic. 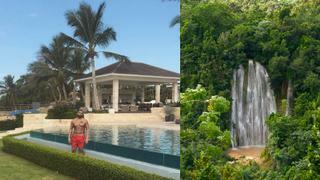 After finishing his European tour the Canadian rapper escaped to an ocean front lodge in the luxury resort of Casa de Campo. Just days earlier his ex-girlfriend Jennifer Lopez was spotted in the same resort, it is rumoured that she even rented the same villa. The Dominican Republic is a hidden jewel and often gets overlooked, but with its lush green rolling hills, palm-fringed secluded beaches and buzzing nightlife, this is not a destination to be ignored. Casa de Campo, on the south east coast of the island, is the main port of entry and the luxurious resort and marina can host luxury yachts up to 76.2 metres. But if you can bear to pull yourself away from the stunning resort, the country has plenty more to offer. Santo Domingo is the country's vibrant capital. With it’s winding, cobblestone streets, traditional shopping and plenty of drinking and dancing, it’s the perfect place to get a taste of this unspoilt corner of the Caribbean. Punta Cana is a stunning stretch of coastline on the south west side of the island. Model turned actress Elsa Pataky was seen enjoying this idyllic part of the country in February 2017, whilst shooting for fashion magazine Glamour, Posting pictures of herself and friends relaxing in the pool and running along white sandy beaches. In April 2017 Drake enjoyed some down time in the Dominican Republic. 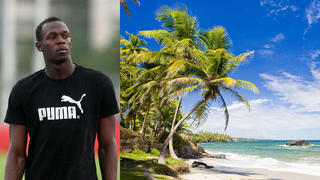 After finishing his European tour the Canadian rapper escaped to an ocean front lodge in the luxury resort of Casa de Campo. Just days earlier his ex-girlfriend Jennifer Lopez was spotted in the same resort, it is rumoured that she even rented the same villa. The Dominican Republic is a hidden jewel and often gets overlooked, but with its lush green rolling hills, palm-fringed secluded beaches and buzzing nightlife, this is not a destination to be ignored. Casa de Campo, on the south east coast of the island, is the main port of entry and the luxurious resort and marina can host luxury yachts up to 76.2 metres. 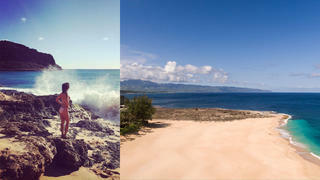 But if you can bear to pull yourself away from the stunning resort, the country has plenty more to offer. Santo Domingo is the country's vibrant capital. With it’s winding, cobblestone streets, traditional shopping and plenty of drinking and dancing, it’s the perfect place to get a taste of this unspoilt corner of the Caribbean. Punta Cana is a stunning stretch of coastline on the south west side of the island. Model turned actress Elsa Pataky was seen enjoying this idyllic part of the country in February 2017, whilst shooting for fashion magazine Glamour, Posting pictures of herself and friends relaxing in the pool and running along white sandy beaches. In March 2017, American actress Lindsay Lohan enjoyed a luxurious holiday in Thailand, where she spent some time exploring the islands around Phuket and luxuriating at Sri Panwa before heading north to Amanpuri. She posted pictures of herself paddleboarding and soaking up the sun on a private river cruise. Thailand has welcomed a myriad of stars to its plethora of luxury hotels and villas in recent years, including Kate Moss, Blake Lively, Jay Z, Beyonce, Naomi Campbell, Zayn Malik, Damien Hirst, the Kardashians and Bear Grylls, who has supposedly bought a house there. Aside from the famously lively nightlife, Phuket is a hot spot for incredible natural landscapes and ancient culture. Nature lovers mustn't miss the Gibbon Rehabilitation Centre or the Khao Phra Thaeo National Park's waterfalls. Phang Nga Bay is also a must visit, as is the Big Buddha seated atop the Nakkerd Hills. The Ao Po Grand Marina in Phuket, located at the gateway to the Phang Nga Bay, has 300 berths and can host luxury yachts over 100 metres. Additionally, there are a number of good anchorages around the island's south and south-western coastlines. In March 2017, American actress Lindsay Lohan enjoyed a luxurious holiday in Thailand, where she spent some time exploring the islands around Phuket and luxuriating at Sri Panwa before heading north to Amanpuri. She posted pictures of herself paddleboarding and soaking up the sun on a private river cruise. Thailand has welcomed a myriad of stars to its plethora of luxury hotels and villas in recent years, including Kate Moss, Blake Lively, Jay Z, Beyonce, Naomi Campbell, Zayn Malik, Damien Hirst, the Kardashians and Bear Grylls, who has supposedly bought a house there. Aside from the famously lively nightlife, Phuket is a hot spot for incredible natural landscapes and ancient culture. Nature lovers mustn't miss the Gibbon Rehabilitation Centre or the Khao Phra Thaeo National Park's waterfalls. Phang Nga Bay is also a must visit, as is the Big Buddha seated atop the Nakkerd Hills. The Ao Po Grand Marina in Phuket, located at the gateway to the Phang Nga Bay, has 300 berths and can host luxury yachts over 100 metres. Additionally, there are a number of good anchorages around the island's south and south-western coastlines. Former President Barack Obama jetted off to the Tetiaroa Atoll in Tahiti in March 2017 to unwind at the famous eco-friendly Brando Resort, where former First Lady Michelle Obama joined him. 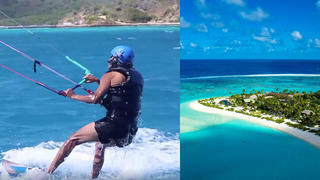 In need of a vacation after his presidency, he previously visited Necker Island (pictured) for a spot of kitesurfing in January. The Tahitian island rose to fame in 1962 as the backdrop for Mutiny on the Bounty, starring Marlin Brando, Trevor Howard and Richard Harris, making it one of the top movie locations to visit on a luxury vacation. Brando then bought the island in 1967 and invited friends Robert De Niro and Quincy Jones to visit his paradise in French Polynesia. In 2014, ten years after his death, The Brando Resort opened and it is said that Leonardo Di Caprio has stayed in the luxury eco hotel and spa. Superyachts up to 100 metres can moor in the Marina de Pape'ete in Tahiti, where guests can take a private aircraft to the resort. Former President Barack Obama jetted off to the Tetiaroa Atoll in Tahiti in March 2017 to unwind at the famous eco-friendly Brando Resort, where former First Lady Michelle Obama joined him. In need of a vacation after his presidency, he previously visited Necker Island (pictured) for a spot of kitesurfing in January. The Tahitian island rose to fame in 1962 as the backdrop for Mutiny on the Bounty, starring Marlin Brando, Trevor Howard and Richard Harris, making it one of the top movie locations to visit on a luxury vacation. Brando then bought the island in 1967 and invited friends Robert De Niro and Quincy Jones to visit his paradise in French Polynesia. In 2014, ten years after his death, The Brando Resort opened and it is said that Leonardo Di Caprio has stayed in the luxury eco hotel and spa. Superyachts up to 100 metres can moor in the Marina de Pape'ete in Tahiti, where guests can take a private aircraft to the resort. In February 2016, Usain Bolt was spotted dancing at the Trinidad Carnival in the Port of Spain, posing with fans and joining in wholeheartedly with the festivities while covered in paint. It's not uncommon to see the fastest man in the world letting off steam at Caribbean carnivals, as he also attended in 2014 and went to the Jamaican event in 2013. Other celebrity visitors include The Beatles, Rita Hayworth, Amber Rose, Winnie Harlow and Rihanna, some for a relaxing vacation and others for the chance to party like a local. Nicki Minaj was also born on the Caribbean island and filmed her music video there for Pound the Alarm. If partying in the streets covered in feathers and sequins isn't your idea of a relaxing holiday, there are a number of high-end luxury resorts across the island where you can unwind with a spa treatment and indulge in some of the finest menus in the Caribbean. Not to be missed is the Rio Seco waterfall in Matura National Park, which is a beautiful natural swimming hole and Pigeon Point, a vast nature reserve with one of the most beautiful beaches in the Caribbean. Trinidad and Tobago has some of the best dive sites in the Caribbean, offering wrecks, swim-throughs, drift dives and reefs covered in colourful coral and sponges. These waters are home to eagle rays and stingrays as well as a variety of sharks and dolphins. The CrewsInn Marina can berth superyachts up to 60 metres, otherwise luxury yachts can anchor further out and tender to shore. In February 2016, Usain Bolt was spotted dancing at the Trinidad Carnival in the Port of Spain, posing with fans and joining in wholeheartedly with the festivities while covered in paint. It's not uncommon to see the fastest man in the world letting off steam at Caribbean carnivals, as he also attended in 2014 and went to the Jamaican event in 2013. Other celebrity visitors include The Beatles, Rita Hayworth, Amber Rose, Winnie Harlow and Rihanna, some for a relaxing vacation and others for the chance to party like a local. Nicki Minaj was also born on the Caribbean island and filmed her music video there for Pound the Alarm. If partying in the streets covered in feathers and sequins isn't your idea of a relaxing holiday, there are a number of high-end luxury resorts across the island where you can unwind with a spa treatment and indulge in some of the finest menus in the Caribbean. Not to be missed is the Rio Seco waterfall in Matura National Park, which is a beautiful natural swimming hole and Pigeon Point, a vast nature reserve with one of the most beautiful beaches in the Caribbean. Trinidad and Tobago has some of the best dive sites in the Caribbean, offering wrecks, swim-throughs, drift dives and reefs covered in colourful coral and sponges. These waters are home to eagle rays and stingrays as well as a variety of sharks and dolphins. The CrewsInn Marina can berth superyachts up to 60 metres, otherwise luxury yachts can anchor further out and tender to shore. Hawaii has long been frequented by celebrities in need of a getaway — it has beautiful weather all year around, some of the best beaches to visit and more than 120 reefs and islets to explore throughout the eight main islands. American singer and TV personality Nicole Scherzinger celebrated New Year's Eve 2016 by soaking up the sun and frolicking on Hawaii's golden sands. In previous years, Beyoncé, Jay Z, Maria Sharapova, Anna Kendrick, Megan Fox, Jude Law, Justin Bieber, Lindsey Lohan and Barack Obama have all been spotted escaping their busy lives in this idyllic holiday destination. Smaller yachts can sneak into Ala Wai Yacht Harbour, which can accommodate yachts up to 25 metres, otherwise there are a number of good anchorages around the islands. Hawaii has long been frequented by celebrities in need of a getaway — it has beautiful weather all year around, some of the best beaches to visit and more than 120 reefs and islets to explore throughout the eight main islands. American singer and TV personality Nicole Scherzinger celebrated New Year's Eve 2016 by soaking up the sun and frolicking on Hawaii's golden sands. In previous years, Beyoncé, Jay Z, Maria Sharapova, Anna Kendrick, Megan Fox, Jude Law, Justin Bieber, Lindsey Lohan and Barack Obama have all been spotted escaping their busy lives in this idyllic holiday destination. Smaller yachts can sneak into Ala Wai Yacht Harbour, which can accommodate yachts up to 25 metres, otherwise there are a number of good anchorages around the islands. The cliff-side town of Positano is a hotbed for celebrities on their Mediterranean getaways — this year alone it’s welcomed the likes of Gwenyth Paltrow, Olivio Palermo, Emily Ratajkowski, Karlie Kloss and Poppy Delevingne. In the past Sting, Rod Steward, Beyonce and The Rolling Stones have been spotted relaxing amid the famous coloured houses in this beautiful Italian spot. Drop anchor and tender over to the colourful town while exploring the Amalfi Coast on a superyacht. The cliff-side town of Positano is a hotbed for celebrities on their Mediterranean getaways — this year alone it’s welcomed the likes of Gwenyth Paltrow, Olivio Palermo, Emily Ratajkowski, Karlie Kloss and Poppy Delevingne. In the past Sting, Rod Steward, Beyonce and The Rolling Stones have been spotted relaxing amid the famous coloured houses in this beautiful Italian spot. Drop anchor and tender over to the colourful town while exploring the Amalfi Coast on a superyacht. Blake Lively, Ryan Reynolds, Cristiano Ronaldo, Rochelle Hume and the Beckhams are just some of the A-listers to have graces the shores of the Maldives in recent years. The islands are private, secluded, brimming with luxurious resorts and are home to some of the best underwater restaurants in the world. Visitors can either unwind with a number of spa treatments or leap straight into action by diving beneath the ocean waves to see a myriad of exotic fish and coral. Superyachts can drop anchor in the pristine blue waters and guests can tender to their desired island. Blake Lively, Ryan Reynolds, Cristiano Ronaldo, Rochelle Hume and the Beckhams are just some of the A-listers to have graces the shores of the Maldives in recent years. The islands are private, secluded, brimming with luxurious resorts and are home to some of the best underwater restaurants in the world. Visitors can either unwind with a number of spa treatments or leap straight into action by diving beneath the ocean waves to see a myriad of exotic fish and coral. Superyachts can drop anchor in the pristine blue waters and guests can tender to their desired island. Famed for its unique blend of traditional and modern culture, Dubai is extremely popular with celebrities. It offers endless luxury boutiques, jaw-dropping views, some of the world's best restaurants to visit while on a superyacht and a renowned seven star hotel. The Burj Al Arab is one of the most extravagant hotels in the world and it’s hosted Roger Federer, Gigi Hadid, Kendell Jenner, Selena Gomez and Caudia Schiffer, to name a few. The nearby Dubai Marina Yacht Club has berth for yachts up to 60 metres, though there are a number of anchorage options for larger yachts. Famed for its unique blend of traditional and modern culture, Dubai is extremely popular with celebrities. It offers endless luxury boutiques, jaw-dropping views, some of the world's best restaurants to visit while on a superyacht and a renowned seven star hotel. The Burj Al Arab is one of the most extravagant hotels in the world and it’s hosted Roger Federer, Gigi Hadid, Kendell Jenner, Selena Gomez and Caudia Schiffer, to name a few. The nearby Dubai Marina Yacht Club has berth for yachts up to 60 metres, though there are a number of anchorage options for larger yachts. Benedict Cumberbatch, Nicole Kidman and Jennifer Aniston all chose the beautiful island of Bora Bora for their honeymoons and Eva Longoria, Justin Bieber and the Kardashians have been spotted holidaying there. Bora Bora is a natural beauty surrounded by sandy islets with two rainforest covered peaks at its heart. A popular honeymoon choice, the luxury offerings, must-do scuba dives and astonishingly picturesque setting make it one of the top destinations to visit on a luxury yacht. There are a number of good anchorages around the island for superyachts — simply tender to the Bora Bora yacht club, which has berths for vessels up to 25 metres. Benedict Cumberbatch, Nicole Kidman and Jennifer Aniston all chose the beautiful island of Bora Bora for their honeymoons and Eva Longoria, Justin Bieber and the Kardashians have been spotted holidaying there. Bora Bora is a natural beauty surrounded by sandy islets with two rainforest covered peaks at its heart. A popular honeymoon choice, the luxury offerings, must-do scuba dives and astonishingly picturesque setting make it one of the top destinations to visit on a luxury yacht. There are a number of good anchorages around the island for superyachts — simply tender to the Bora Bora yacht club, which has berths for vessels up to 25 metres. It’s a slightly alternative Caribbean holiday destination, but a growing number of celebrities are opting to vacation in Cuba. 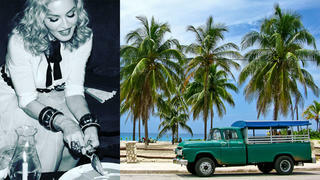 Madonna (who celebrated her 58th birthday there), Zoe Saldana, Karl Lagerfeld, Katy Perry, Rihanna, Beyonce and Jay-Z have all been spotted there over the years making the most of its unique mix of attractions. Beautiful beaches, world famous cigars, Cadillacs from the 1950s and plenty of incredible spots for the history fanatics — it's well worth spending some time exploring colourful Cuba by superyacht. Superyachts can moor at the Port of Havana, which is capable of berthing some of the largest yachts in the world. It’s a slightly alternative Caribbean holiday destination, but a growing number of celebrities are opting to vacation in Cuba. Madonna (who celebrated her 58th birthday there), Zoe Saldana, Karl Lagerfeld, Katy Perry, Rihanna, Beyonce and Jay-Z have all been spotted there over the years making the most of its unique mix of attractions. Beautiful beaches, world famous cigars, Cadillacs from the 1950s and plenty of incredible spots for the history fanatics — it's well worth spending some time exploring colourful Cuba by superyacht. Superyachts can moor at the Port of Havana, which is capable of berthing some of the largest yachts in the world. Cabo San Lucas is the perfect getaway for celebrities — so much so that George Clooney once owned a private villa there. Oprah Winfrey, Will Smith and Justin Timberlake have also been spotted in the ocean-side Mexican town. Cabo San Lucas is home to multiple spas, golf courses and luxury resorts ready to cater to guests’ every whim, whether they’re there to relax or experience the vibrant nightlife. Superyachts up to 114 metres can moor at the nearby IGY Cabo San Lucas marina. Cabo San Lucas is the perfect getaway for celebrities — so much so that George Clooney once owned a private villa there. Oprah Winfrey, Will Smith and Justin Timberlake have also been spotted in the ocean-side Mexican town. Cabo San Lucas is home to multiple spas, golf courses and luxury resorts ready to cater to guests’ every whim, whether they’re there to relax or experience the vibrant nightlife. Superyachts up to 114 metres can moor at the nearby IGY Cabo San Lucas marina.